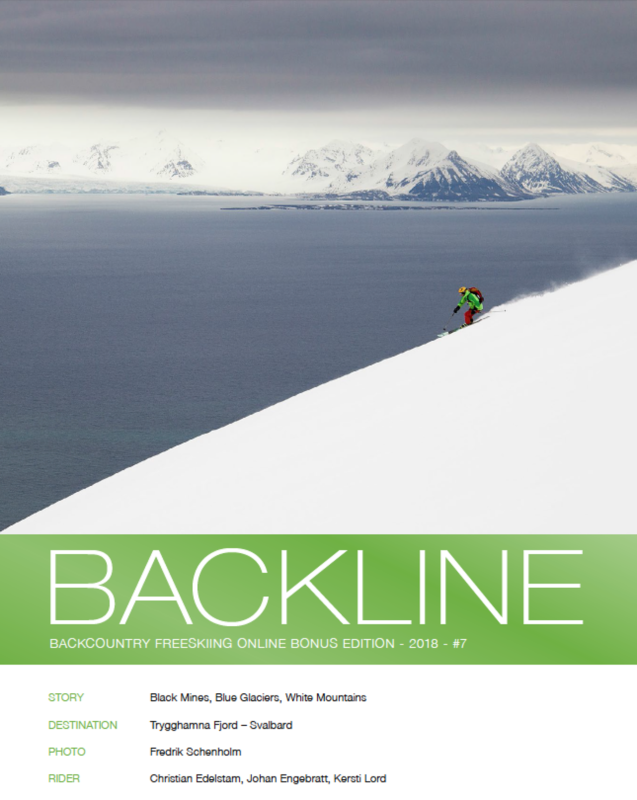 #9 - ONLINE BONUS EDITION of the BACKLINE 2018 issue. Photographed by Baschi Bender, featuring Martin Uhl, Roman Uhl and Olaf Schmid backcountry skiing in Albula Alps / Switzerland. 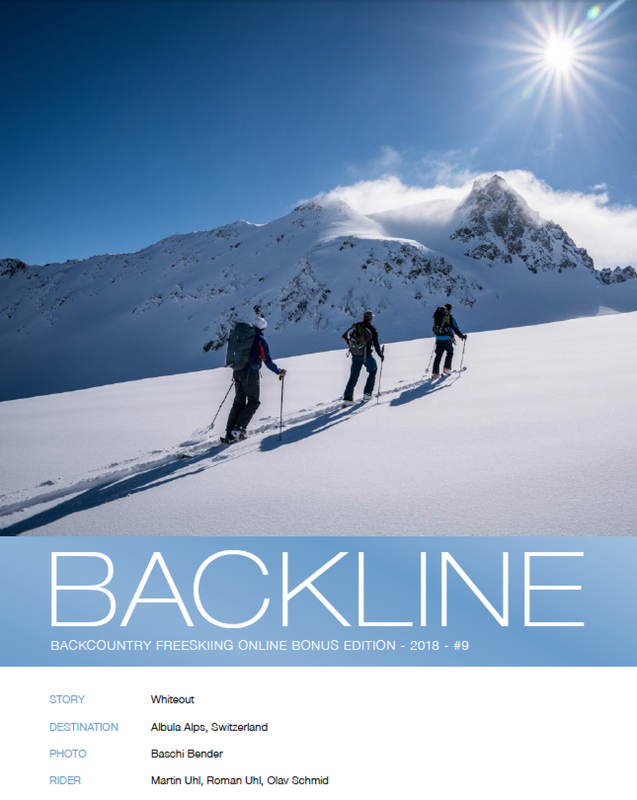 #8 - ONLINE BONUS EDITION of the BACKLINE 2018 issue. Photographed by Ben Tibbetts, featuring Valentine Fabre backcountry skiing in Berneese Alps / Switzerland. 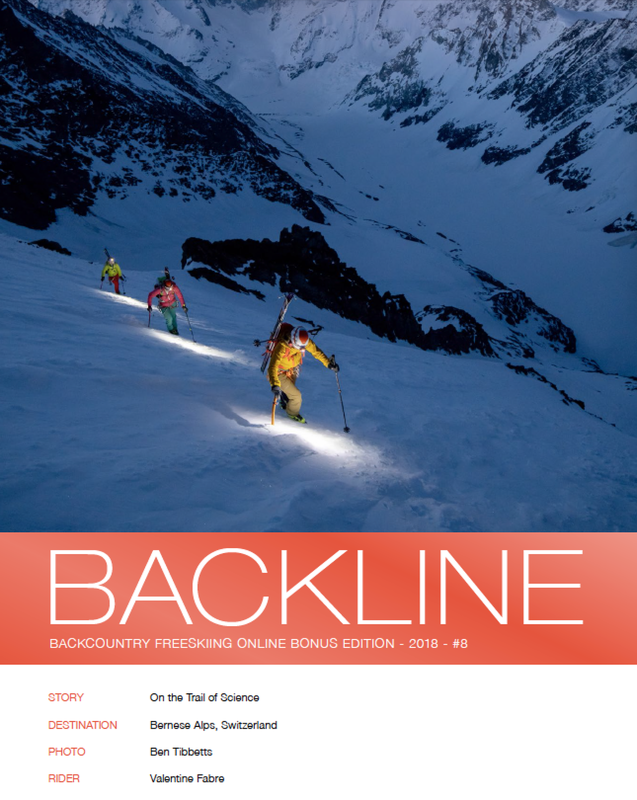 #7 - ONLINE BONUS EDITION of the BACKLINE 2018 issue. Photographed by Fredrik Schenholm, featuring Christian Edelstam, Johan Engebrat and Kersti Lord backcountry skiing in Trygghamna Fjord / / Svalbard / Norway. 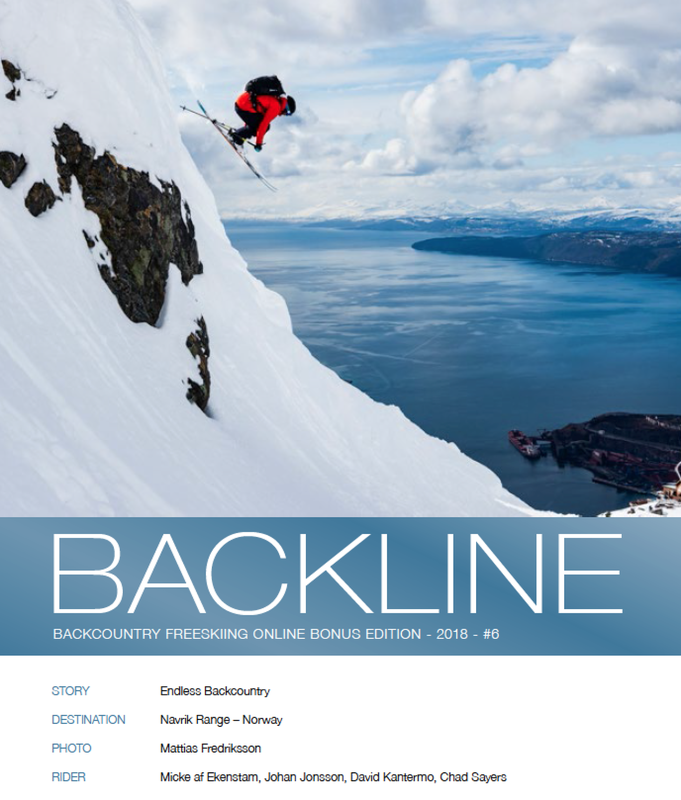 #6 - ONLINE BONUS EDITION of the BACKLINE 2018 issue. Photographed by Mattias Fredriksson, featuring Micke af Ekenstam, Johan Jonsson, David Kantermo and Chad Syers backcountry skiing in Narvik Range / Norway. 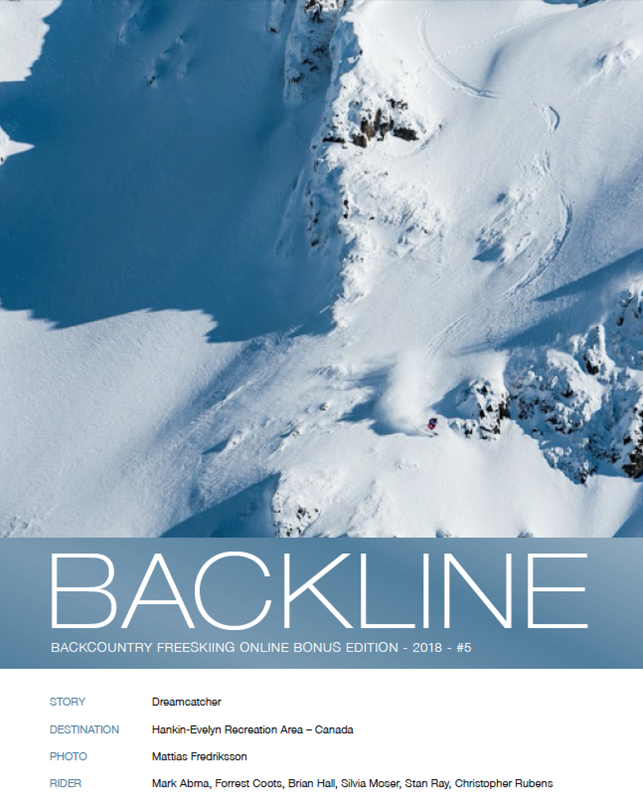 #5 - ONLINE BONUS EDITION of the BACKLINE 2018 issue. Photographed by Mattias Fredriksson, featuring Mark Abma, Forrest Coots, Biran Hall, Silvia Moser, Stand Ray and Christipher Rubens backcountry skiing in Hankin-Evelyn Receational Area / Canada. 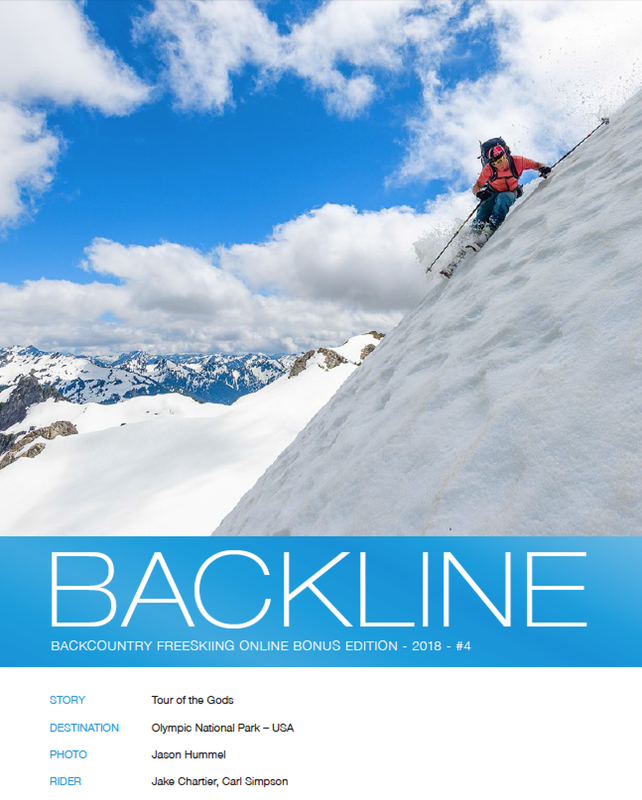 #4 - ONLINE BONUS EDITION of the BACKLINE 2018 issue. Photographed by Jason Hmmel, featuring Jake Chartier and Carl Simpson backcountry skiing in Olympic National Park / USA. #3 - ONLINE BONUS EDITION of the BACKLINE 2018 issue. Photographed by Thomas Marzusch, featuring Caja Schöpf and Sandra Lahnsteiner backcountry skiing in Caucasus / Georgia. #2 - ONLINE BONUS EDITION - "In The Middle Of Nowhere" - of the BACKLINE 2018 issue. Photographed by Christian Pondella, featuring Jim Morrison, Michelle Parker and Chris Davenport backcountry skiing in Kitchatna Mountains / Alaska / USA. 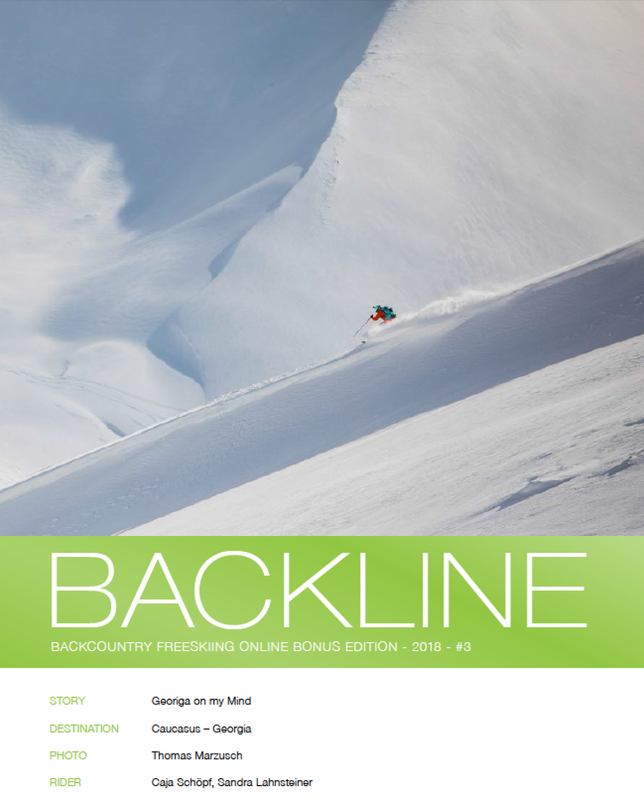 #1 - ONLINE BONUS EDITION of the BACKLINE 2018 issue. Photographed by Christian Pondella, featuring Jim Morrison and Hilaree Nelson backcountry skiing in Sierra Nevada / California / USA.